A Pattern or Pilgrimage took place to Tobarmacduagh Blessed Well in years gone by on Good Friday. This tradition died out in the early years of the nineteenth century firstly because of the Penal Laws and secondly because of the change in religious practice in the Catholic Church with new rituals being introduced from the Roman Catholic Church. 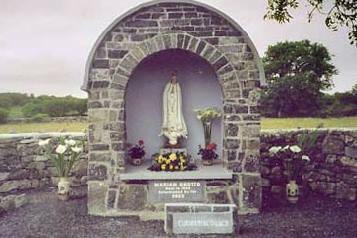 People gathered from all parts of Connaught to venerate St. Colman Macduagh at the Blessed Well in Killeen townland, in Drum Parish, called "Tobermacduach". In this area was the site of an old Church and Cillín. It was said that little coffins were brought in the night and the only sign that a burial had taken place was a newly made grave. Saint Colman mac Duagh was born at Kiltartan, County Galway, Ireland, (c. 560 - 29 October 632), the son of the Irish chieftain Duach. He initially lived as a recluse, living in prayer and prolonged fastings, first on the Aran Islands & then in a cave at the Burren in County Clare. With his relative, King Guaire Aidne mac Colmáin (d. 663) of Connacht he founded the monastery of Kilmacduagh, ("the church of the son of Duac"), and governed it as abbot-bishop. Ireland, as well as most of the Catholic World, suffers today from an unprecedented crisis of the Faith. The interesting and holy life of the Catholic Saint, St. Colman Mac Duagh (560-632 A.D.) inspires the Irish faithful of today to reclaim their land's illustrious title as the "Isle of Saints," and by St. Colman's example, to draw all Christendom to the return of Traditional Catholic practices. 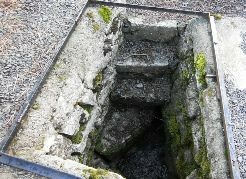 With this in mind It is planned to revive the tradition of visiting Tobermacduagh Holy Well on Good Friday. A Prayer Walk to Tobarmacduagh Blessed Well is taking place on Good Friday April 14th.Proceedings will commence at Clogher Community Centre with a short talk on life & times of St Colman Mac Duagh at 11a.m. This will be followed by a short walk to Blessed Well. A short prayer service will take place at 12 noon with a reflection on the Passion& Death of Christ. 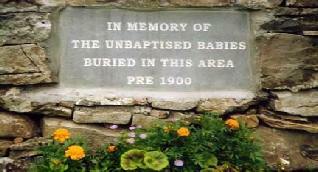 Prayers will also be offered for all unbaptised children buried here.